Day Care - jukumukenyas Webseite! Day care services are open from Monday to Friday, 7:30am to 4:30pm, during school term, closing for April, August and December school holidays. Our children range from birth to three years old. A small daily fee is charged per child and goes towards running costs. We highlight the very positive impact made by the participation of parents and carers. Their involvement alongside our staff has become essential to the meaning of Jukumu Letu. 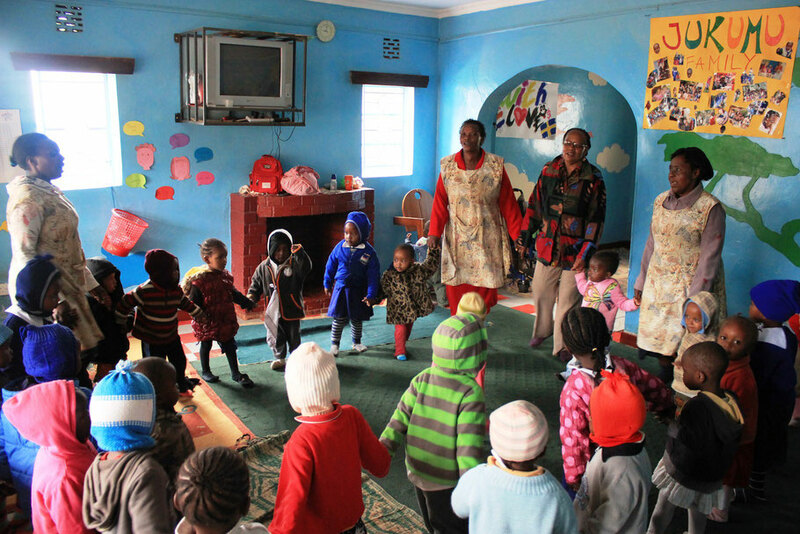 Each is allocated at least one day per month to work with our full time staff; duties include organizing play and sleep times, changing, cooking and feeding the children. We provide an affordable balanced diet, showing parents that a healthy diet does not have to include expensive food. We are delighted to have a volunteer pediatrician who screens for health issues, immunization and growth monitoring based on the World Health Organisation prescribed optimal growth standards. Children who do not meet these standards are referred to the local government hospital. Staff are taken through capacity building Trainings in childhood health and development, enabling prompt identification of common illnesses requiring referral.